It's been super hot outside and I've felt VERY LAZY. 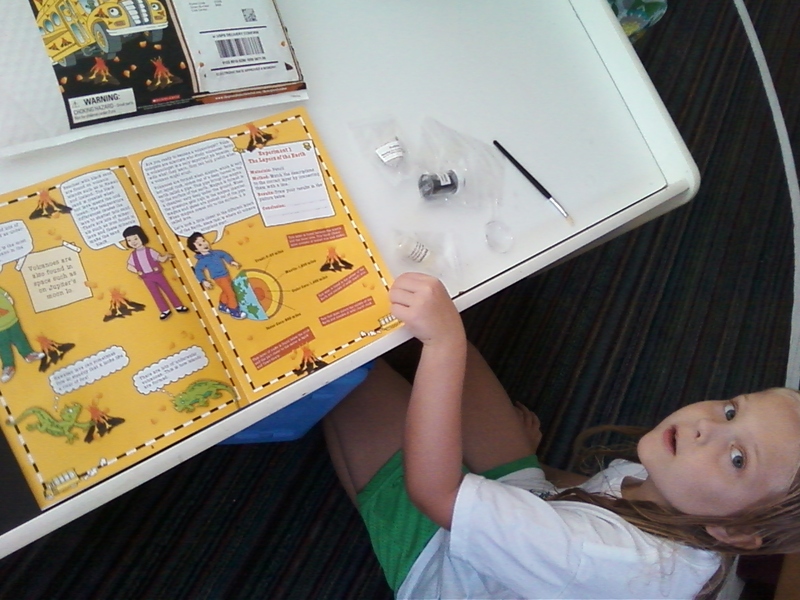 On the 4th of July I stayed air conditioned by breaking out some Magic School Bus science kits that have been coming in the mail maybe once per month or so. 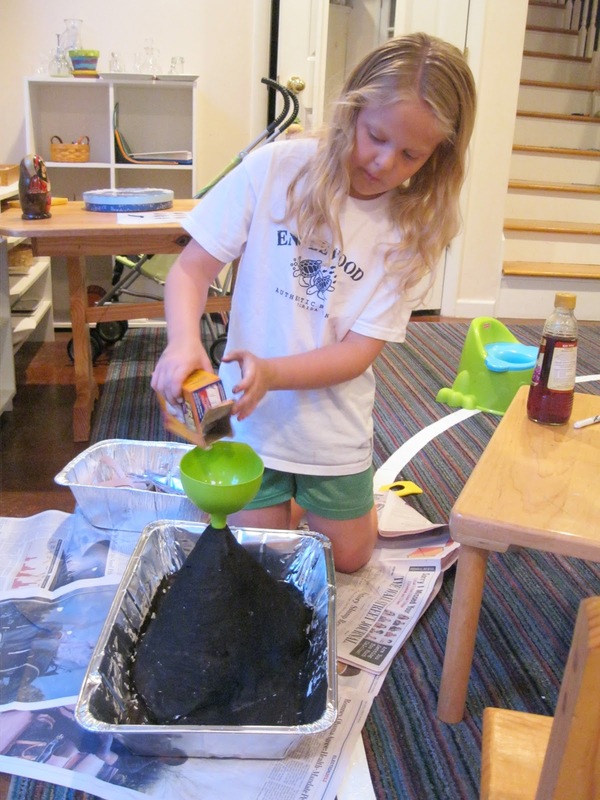 (You can buy a similar but slightly more elaborate Magic School Bus volcano kit at this link). During the school year we've been too busy to even open them, so now's the time to rip open the fun! If you haven't heard of these science kits, you may want to investigate. You need to read all of the directions first to make sure you have what you need. The kits come about once per month, but we've saved them for the summer. 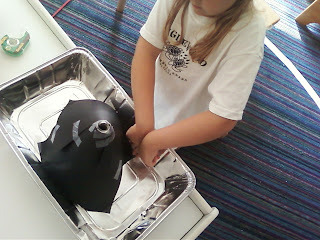 After taping down a plastic bottle, you make a cone shape with black construction paper (provided). Since we've done this type of thing before we felt comfortable making lots of substitutions, such as using a foil pan instead of a box lid and an empty plastic vinegar bottle instead of soda pop bottle. 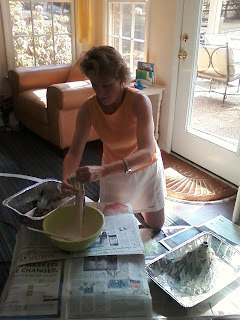 After cutting up the morning's news with a paper cutter, we had uniform strips to dip into the paste (just one part warm water to one part flour). By the by, the dog under the table is not dead--just resting (the heat got to him, too). 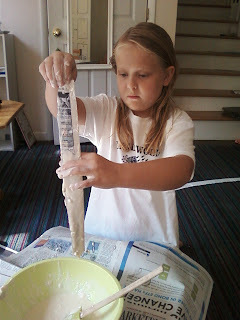 It's a good idea to hold the strip vertically and slide your pointer and tall man fingers along either side to get off the extra gluey stuff (over the bowl, if you please). 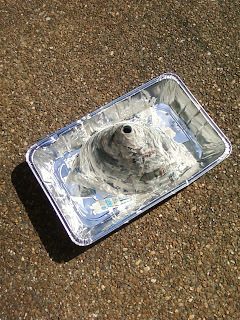 It was good that it was over 100 degrees that day--our papier mache strips dried faster! 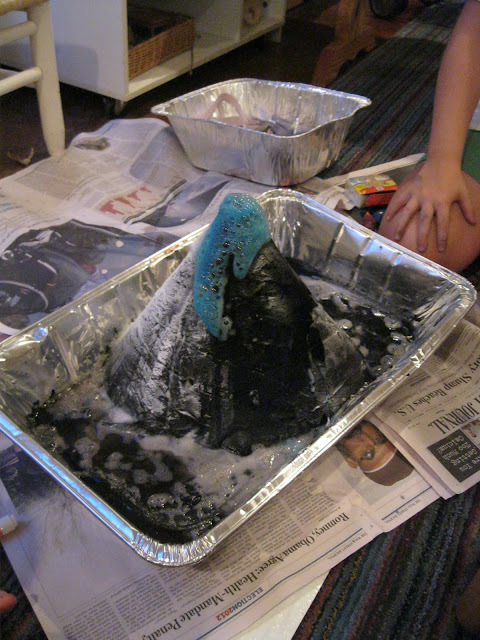 This kit has you painting the volcano black. 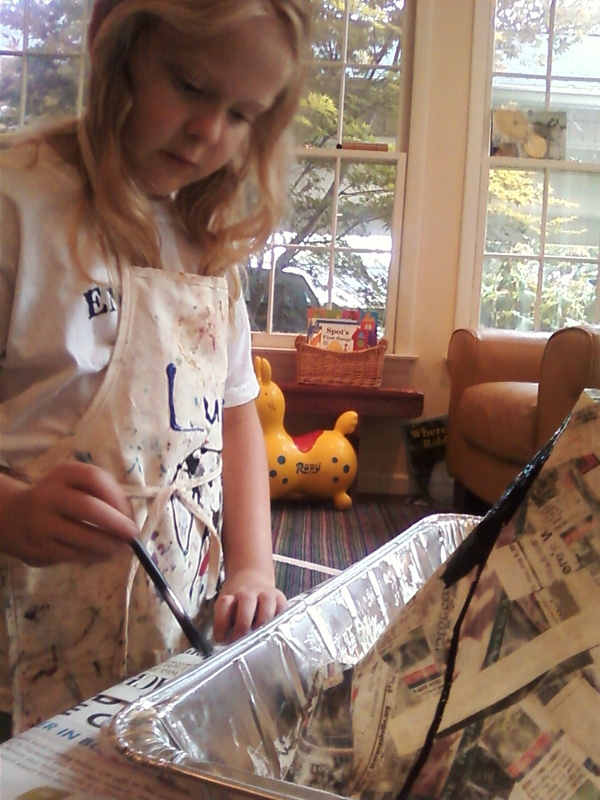 "Peel" loves painting anything, so she enjoyed this step. We experimented with different acids: red wine vinegar, lemon juice and apple cider vinegar. 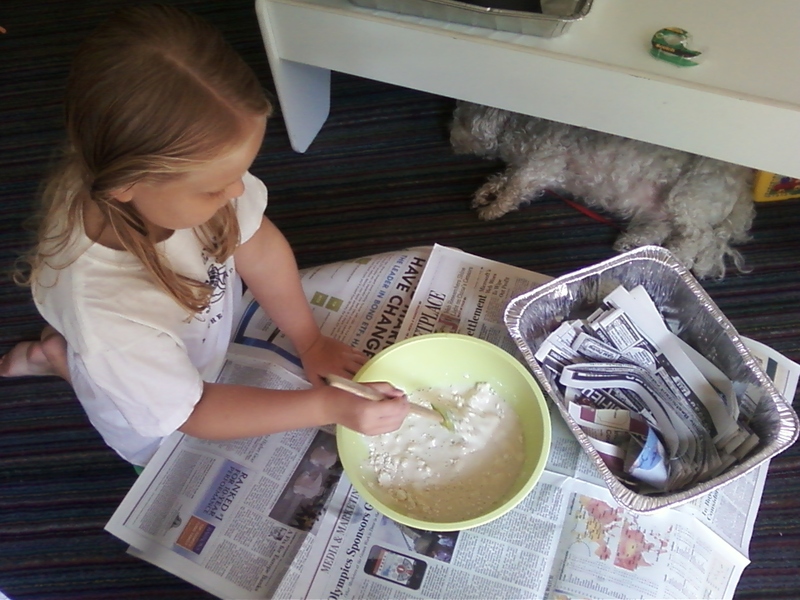 After a while we also added food coloring.